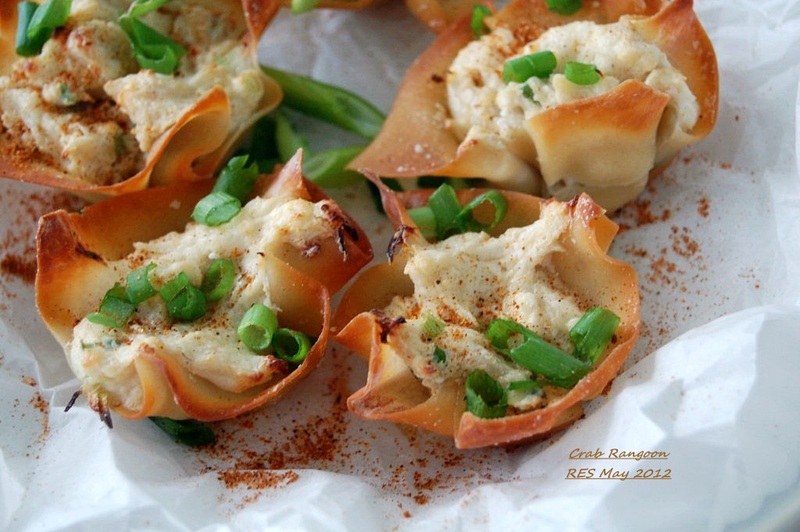 Starting with a non-fried version of crab Rangoon, I used lightly oiled mini muffin tins to hold the wonton cups, filling with the crab mixture and baking for 20-25 minutes, easy and less messy than frying. Blend all and refrigerate until ready to fill the wontons. Heat oven to 350°. Tuck wontons into muffin cups, add filling and bake for 25-30 minutes. Great retro appetizer. 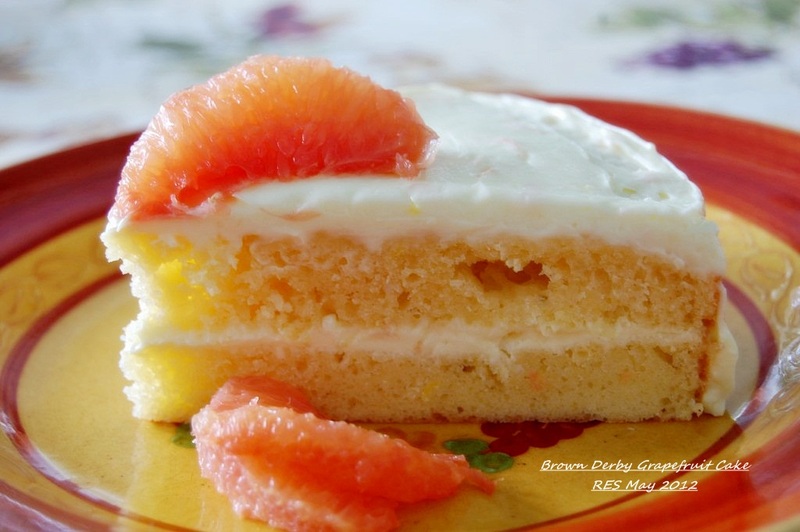 For dinner I made a Cobb Salad with The Brown Derby dressing, sourdough bread and finally a pretty tasty grapefruit cake…Brown Derby recipe as well. Have a platter ready with assorted lettuces and arrange chopped, diced turkey, crumbled bacon, boiled eggs, diced avocado, chopped green onions/or chopped chives. 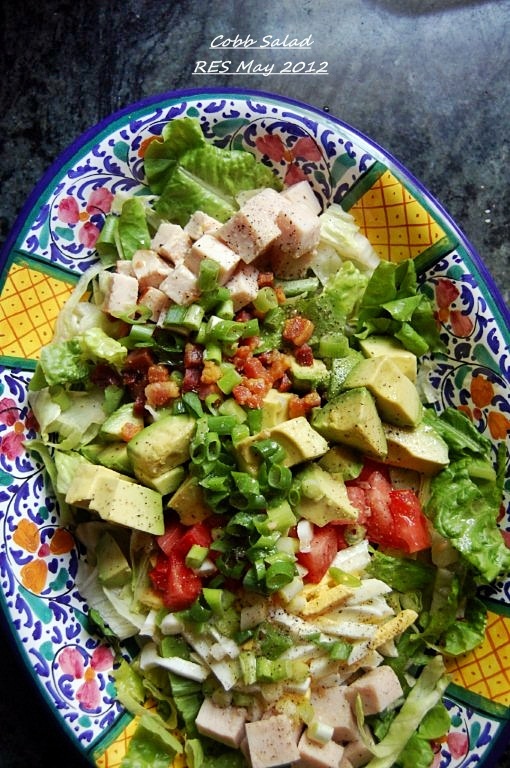 Drizzle dressing over salad season with salt and pepper and serve with sourdough bread. 1 1/2 cups salad oilBlend together all ingredients, except oils, then add olive and salad oils and mix well. Blend well again before mixing with salad.